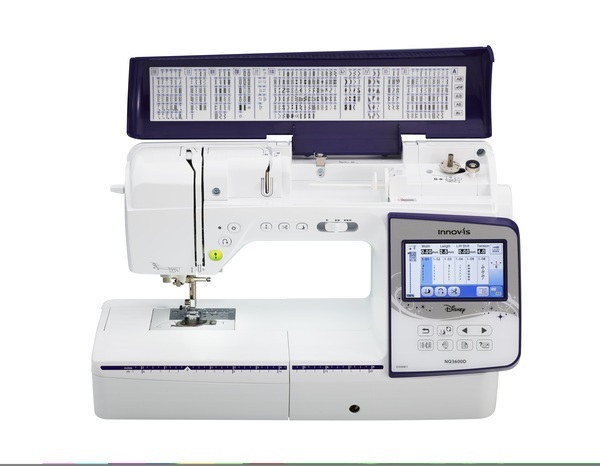 Introducing the sewing and embroidery combination machine from the Q-Series lineup. The Innov-ís NQ3600D offers new state-of-the-art features such as the automatic thread trimming system, giving you the opportunity to cut every jump stitch for your convenience. The large workspace, Automatic Height Adjuster (AHA) feature and the Pivot function all make it easy for sewing and quilting projects. 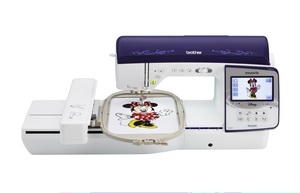 Expand your design capabilities with the generous 223 built-in embroidery designs, including 35 designs featuring Disney characters.